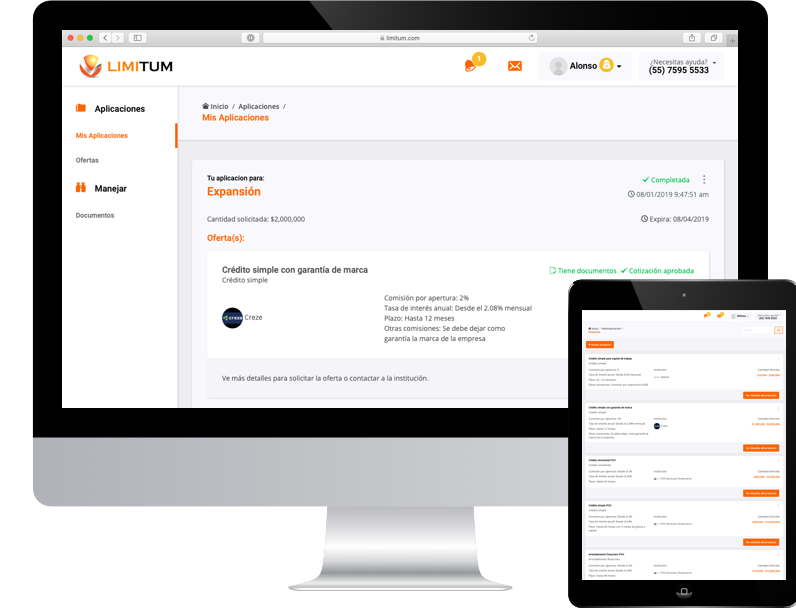 We developed "Limitum", a tool that helps all types of companies to compare and obtain a credit by completing a single application. 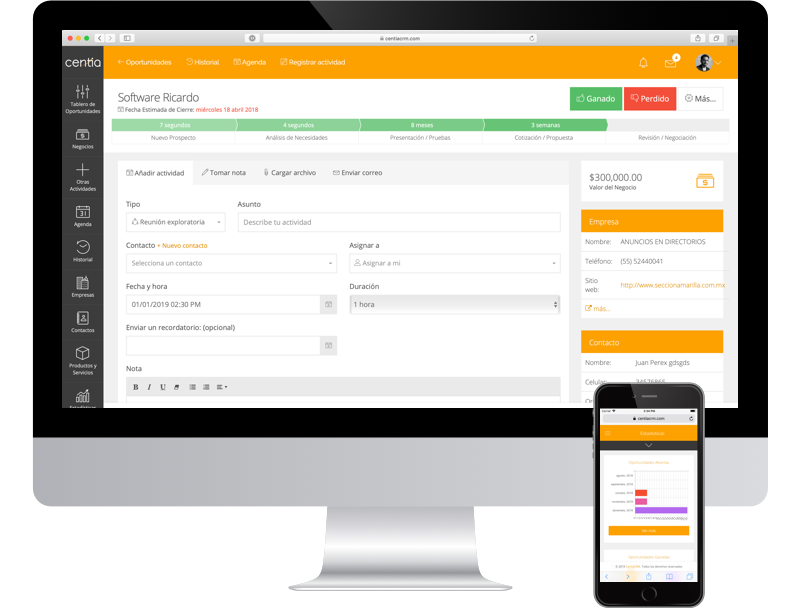 We develop the "CentiaCRM" a monthly subscription system that helps any company to improve the sales flow. 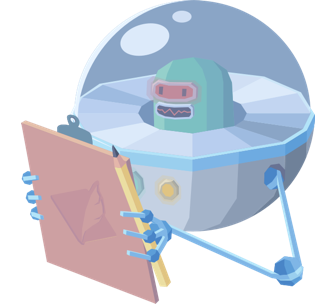 For MiCochinito.com we developed a crowdfunding platform under a unique concept of its kind. 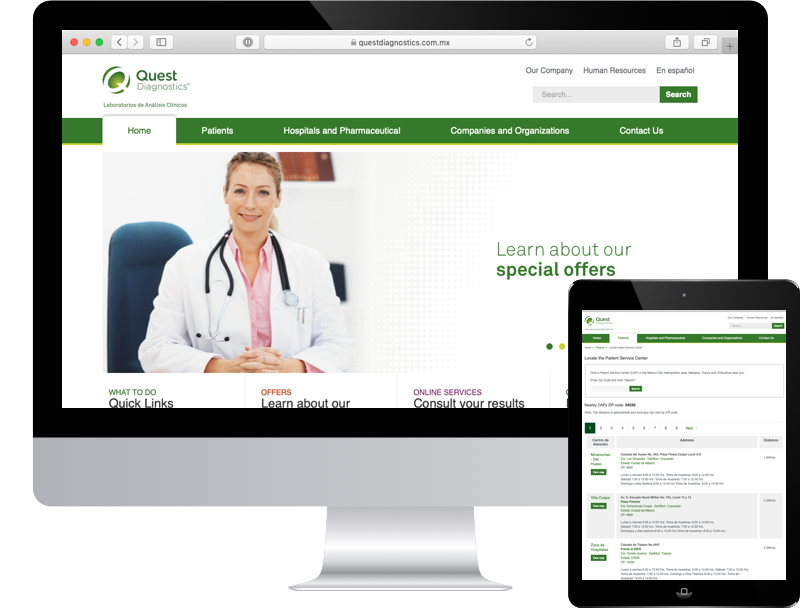 For Quest Diagnostics we developed a new portal that was up to what your brand represents. We are still updating this section, come back soon to see more of our success stories.